Christmas Greetings from the African continent! As many of you are now aware, our family was given a visa for Agum to travel to the USA and we will be at the Calvary Chapel Missions Conference in Murrieta, CA starting January 6th. We are so exctied to have this opportunity as a family to see everyone! What We Want For Christmas? Christmas is coming fast and in this part of the world it is hard to know that Christmas is in full swing in so many other places. There are no frills and celebrations, lights, trees, gifts, food and for some even homes. Our family feels so fortunate to have the opportunity to serve the wonderful people of Tonj in South Sudan who are less fortunate, especially during this season. To bless others is truly a wonderful feeling and thanks to many of you we get to be a part of that firsthand every day. What we want for Christmas is to be able to serve this community for another year by providing transformational training workshops and medical care throughout 2014. Please pray for us as a family and ministry as we take a much needed break that it would not have a negative impact on those we serve. To bring a smile and more importantly hope to someone else is priceless. In Deed and Truth Ministries is committed to the people of Tonj, South Sudan and we would like to give you the opportunity to be generous towards the Kingdom work. Our goal is to raise $250,000 to keep our clinic operating for another year. You can visit our website to donate. To help you know how your generous donation would be used here are some thoughts for Christmas shopping this year. 1. 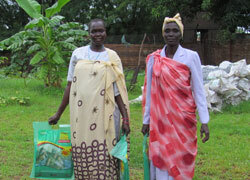 $10 provides a treated mosquito net to prevent malaria. 2. 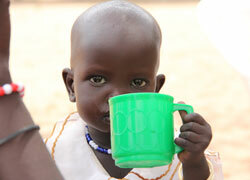 $25 provides a child under 5 with full immunization. 3. $50 provides for one Community Health Evangelist to attend training. 4. 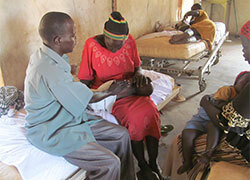 $100 provides for a Community Health Worker to serve the community for one month. 5. 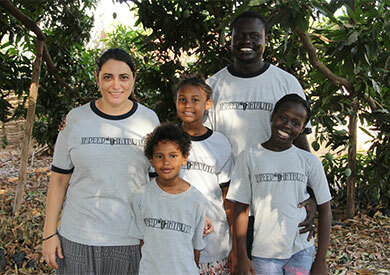 $150 a month provides a chaplain to cover our clinic 24 hours a day. There are numerous other needs to keep our clinic in service and every gift, no matter the size is much appreciated. Our family wishes you a wonderful Christmas as you celebrate the greatest Gift ever given, the birth of our Savior Jesus.